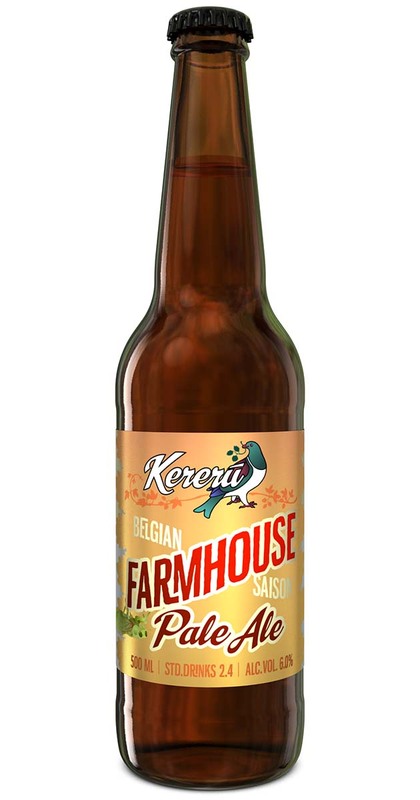 Farmhouse Pale Ale is a cross between a classic Belgian saison and a hoppy NZ pale ale, using all NZ malt & hops and Belgian saison yeast. Tart saison yeast character combines with Motueka, Rakau, and Taiheke hops to create a refreshing ale with a dry finish. Water, NZ Barley, NZ Hops, Yeast. This beer celebrates a special Belgian yeast that produces a lovely tart finish that offsets the delightful NZ hop character in the late additions and dry-hopping. The dry-hops feature a blend of NZ Moutere, Taiheke (lovely white pepper notes), and Kohatu.